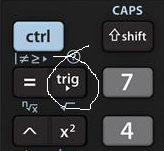 The following tutorial continues to explore features of the Ti nspire cx cas graphing calculator. 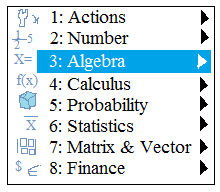 The tasks below will use different menus, functions, and settings. 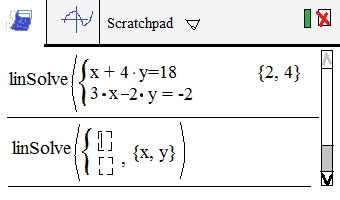 Using the mouse pad, scroll to "Algebra"
then, scroll to "solve system of linear equations"
Tasks: enter the inequality 2x + 3y > 35. then, change the inequality from > to <. Finally, clear the workspace. 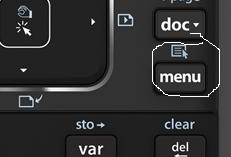 select the > symbol "enter"
Now, move cursor to right of > symbol. 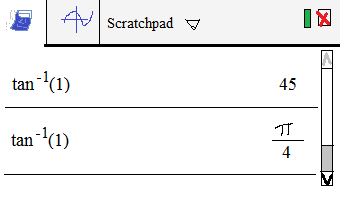 "del"
Press mousepad in upward (or downward) direction to highlight lines in the workspace. 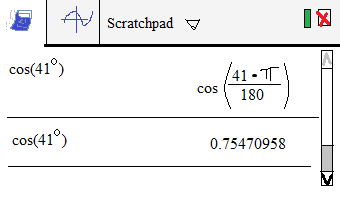 number of lists (1) "OK"
Tasks: Find cosine(41 degrees). Then, find the inverse tangent(1) in both radians and degrees. 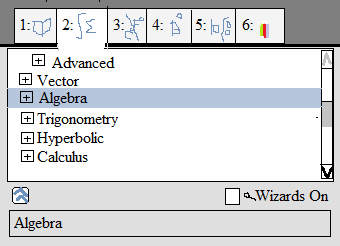 Select 'cos' from the grid; "enter"
select the degree symbol from the grid "enter"